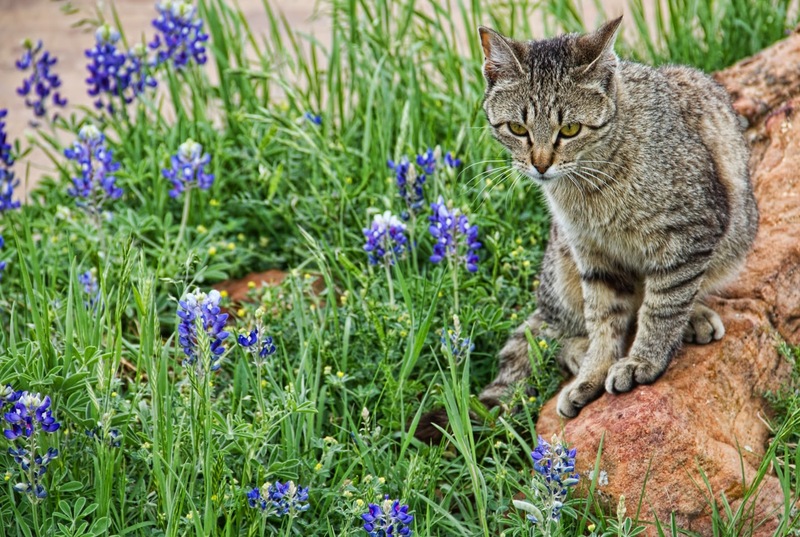 This sweet little cat, barely past kittenhood, posed so nicely by the Texas bluebonnets when Judy and I were taking pictures after having brunch at the Wildcatter's restaurant. It then proceeded to scare the living crap out of us, landing out of nowhere on the hood of the car when we were leaving to take a drive around the ranch. It tried to get into the back seat through the open passenger window, and scratched my neck when I opened the car door to put it outside. They grow some pretty fierce kitties in Texas.